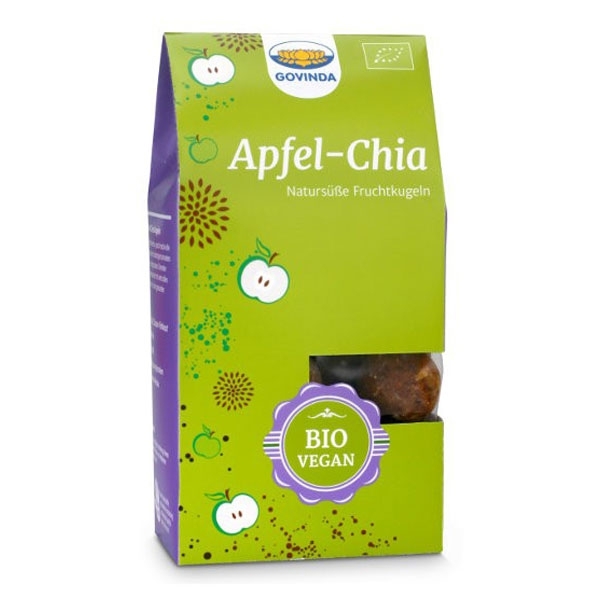 A refreshing, tasteful fruit ball with self-dried apples from Demeter association regional cultivation, tenderly wrapped with Baobabpulver and combined with valuable chia seeds for healthy enjoyment! * * From regional Demeter cultivation. Information for allergy sufferers May contain traces of other nuts and sesame seeds.